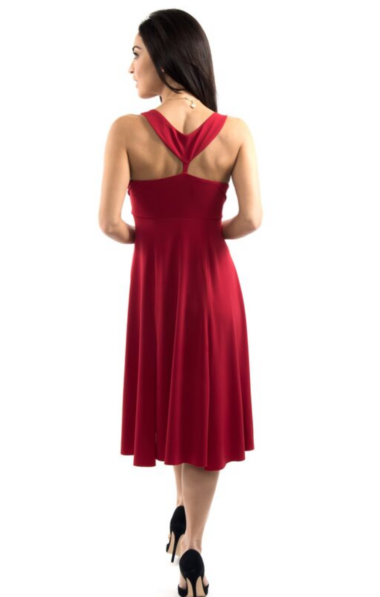 Sophisticated A-line Argentine tango dress. This style is part of our “Easy-Fit” range of tango dresses as the A-line shape of the skirt and the shape of the jersey insert are flattering all body sizes and shapes. Please check our Size Chart before ordering as our sizing may differ from High Street brands sizing! Black tulle sleeves available upon request for an extra (NON-RETURNABLE).